What’s the most tax-efficient way to pay yourself in 2016/17? Owner-managers and contractors often pay themselves in a combination of salaries, bonuses and dividends. A common strategy is to draw a salary of around £8,000 while also extracting profits from the business as a dividend. A salary of £8,060 (for the 2015/16 tax year) preserves entitlement to the state pension and some benefits. It is also within the personal allowance and below the threshold for employer and employee national insurance contributions (NICs). Some people opt for a higher salary to make better use of the personal allowance and, in doing so, help lower company profits which are liable for corporation tax. This option means that the individual will have to pay NICs on any salary exceeding £8,060 and the business will have to pay employer NICs. It is then possible to take additional income as a dividend which are generally more tax-efficient than salaries or bonuses alone. The amount of tax due on dividends depends on an individual’s income tax band. For the 2015/16 tax year, a business owner with a £8,060 salary and a dividend of £30,000 would not pay any tax on the dividend as their total income is within the basic rate tax band. 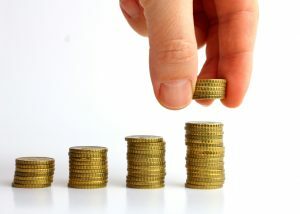 However, the major changes to dividends which are due to come into effect from April 2016 have made many question the salary plus dividend strategy. From April 2016, the 10% dividend tax credit will be abolished and replaced with a new dividend tax allowance of £5,000 per year. This allowance will not reduce total income for tax purposes and will only apply to dividend income. Dividends paid within pensions funds and those received in shares from ISAs will stay tax-free. The £1,000 savings allowance (£500 for higher rate taxpayers) due to come into effect in April 2016 excludes dividend income. No tax will be deducted at source; it will be paid through self-assessment. The changes mean that incorporation may not be as attractive for small business owners as it once was. How the changes affect your tax planning much will depend on your individual circumstances and other sources of income. We can explain how changes to dividends will affect you. Tax on salaries is deducted through PAYE. The personal allowance for 2016/17 is £11,000. Employer and employee NICs are due on salaries but not dividends. Employees pay class 1 contributions at 12% on salaries between £155 and £815 a week (2015/16) and 2% on earnings above £815 a week. Employers pay class 1 contributions at 13.8% on salaries above £156 a week (2015/16). NIC rules are slightly different for directors. They are classed as employees and pay NICs on income (including bonuses) over £8,060 per annum. It is deducted from annual income rather than from earnings from each pay period. The employment allowance allows most employers can remove £2,000 from their national insurance bill each year. Businesses with small payrolls may find that the allowance will cover all of their NICs. The allowance will increase to £3,000 for the 2016/17 tax year. It’s possible to claim the allowance through payroll software and employers can make a claim at any time during the tax year. Companies where the director is the only employee will not be able to claim from April 2016. The following examples look at some possible scenarios for a business owner who currently has a salary of £8,060 and dividends of £30,000, and represents the overall cost to the person. In these examples, the salary of £8,060 plus dividend strategy remains the most tax-efficient option. The effect of corporation tax relief has been ignored but this would not affect the decision. It is important to remember that changes to salaries and dividends will affect liability to other taxes and NICs. All of these should be considered when choosing a strategy. This strategy will also bring tax payers into the self-assessment payments on account regime. Contact us to discuss your financial situation in detail. Dividends have to be paid out of profits, whereas salaries do not. This means you can continue to draw a salary if you are making a loss, but you won’t be able to receive a dividend. Directors can receive different salaries but dividends are based on a fixed rate for each share. This means that all shareholders are entitled to the same rate of dividend. It is possible to avoid this by offering different classes of shares. Although HMRC can investigate if it suspects that this had been done to avoid tax. Salaries are staggered over the year whereas dividends are one-off payments. Plan the timing of any dividends so that they won’t negatively impact your cashflow. Corporation tax at 20% is due on profits after costs, including salaries, have been deducted. Paying a salary reduces profit and therefore reduces the corporation tax bill. We can advise on the most suitable and tax-efficient way to pay yourself.